A Baby Splash In Time! The story in Mario & Luigi: Partners in Time is just as epic as you'd expect from a true to form Mario RPG. Of course there's plenty of humour to be had, but unlike recent Mario RPG's Bowser is not the main focus as an antagonist, much like in Superstar Saga and Paper Mario: The Thousand Year Door there's a cast of refreshingly unique antagonists to tackle which is a breath of fresh air to be quite honest. 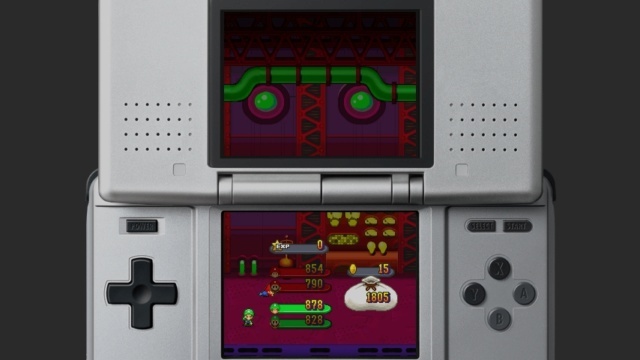 the gameplay is revamped from Superstar Saga, there's a time-travelling element, plus the baby bros. join the team, giving you four different allies at your command at once which adds alot of depth to the gameplay formula. 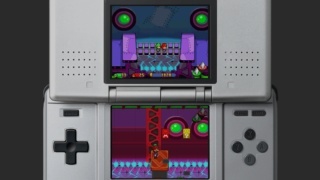 Puzzle solving plays a big role in Partners in Time and ctn be challenging at times while the battles are substantially more difficult than those in Superstar Saga. Mario & Luigi: Partners in Time is also quite a long game, clocking in at over 40 hours in length. The controls are also superb which is always a good thing. The audio-visual presentation while simple in nature are quite beautiful and fit the game like a glove, while the soundtrack is far better than the one in Superstar Saga. Overall the game looks and sounds like pure perfection! 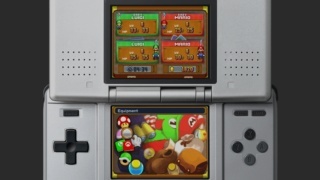 With a wacky and highly enjoyable story, superb gameplay, and flawless audio-visual presentation, Mario & Luigi: Partners in Time is the pinnacle of perfection and one of the best DS games we've had the opportunity to play and as such we give the game a perfect level of recommendation! This is the second best game in the series imo. Bowser's Inside Story was the best but after that the series started going downhill. At least the series hasn't become a complete dumpster fire like Paper Mario has. Anyway great review Rean! My cat loves Mario And Luigi on the big screen. She'll watch me playing for hours while cuddling with me. @armerocks ^ Look it's Poptart kitty haha!